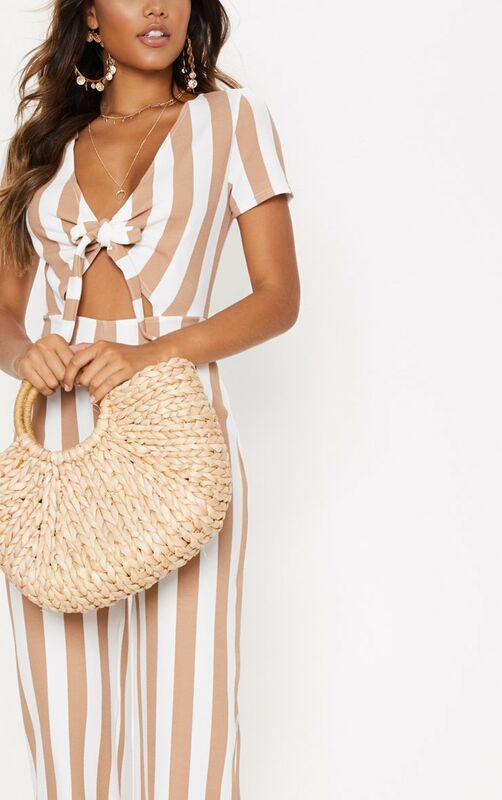 Jumpsuits are essential for every vacay. Featuring a stone material with a stripe design, a tie front and culotte bottoms. 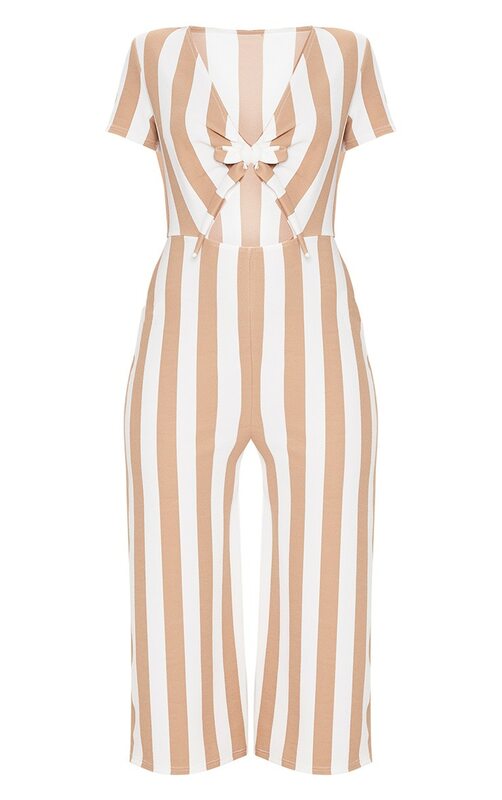 Style this jumpsuit with tie-up sandals and a straw bag for a summer loving look.